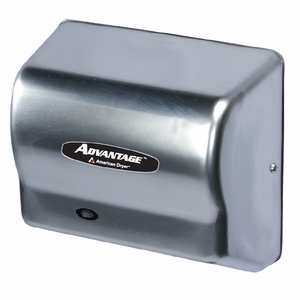 American Dryer Advantage AD90-C Hand Dryer - Steel Satin Chrome Finish Cover. The Advantage Series is the perfect replacement for the traditional hand and hair dryer with more power & features in a compact design. 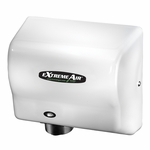 The Advantage Series uses the same compact platform of the best selling ExtremeAir Line. The Advantage Series features universal voltage and a dry time of 25 seconds. It is available in all standard finishes.